Hi, Dad, what are you watching? This is a DVD of one of the most famous rock concerts in history. The film image looks really old. When was the concert? In 1969. 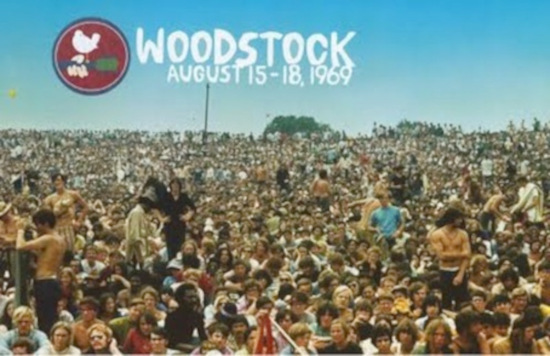 It was called Woodstock, and it was held for three days in the state of New York. When it ended, people said,"This concert will be talked about for years." And they were right. That's like half a century ago, Dad. Yes, but the music is still considered cool. Many legends of rock and roll performed at Woodstock. You've heard of Jimi Hendrix, haven't you? The start of the project was put off until next month. I was very well looked after by my Australian host family. We are ripped off by a taxi driver at the airport. My grandma was taken care of by the hospital staff.